If you manage a large business, perhaps with multiple facility locations and a significant workforce, then keeping on top of every single part of your facility maintenance can be a struggle, often feeling like juggling a million balls in the air at once. How do you keep track of each and every maintenance job (both planned and reactive) that needs undertaking, ensuring it is completed in a timely and cost-effective manner? How do you ensure your compliance maintenance is run at the right times during the year so you are not liable to any legislation laws? How do you make sure your facility is kept clean and hygienic, helping to keep your staff happy and your customers returning? These are all questions that most large business owners will face. But did you know that these issues can be tackled relatively easily with a computerised management system? 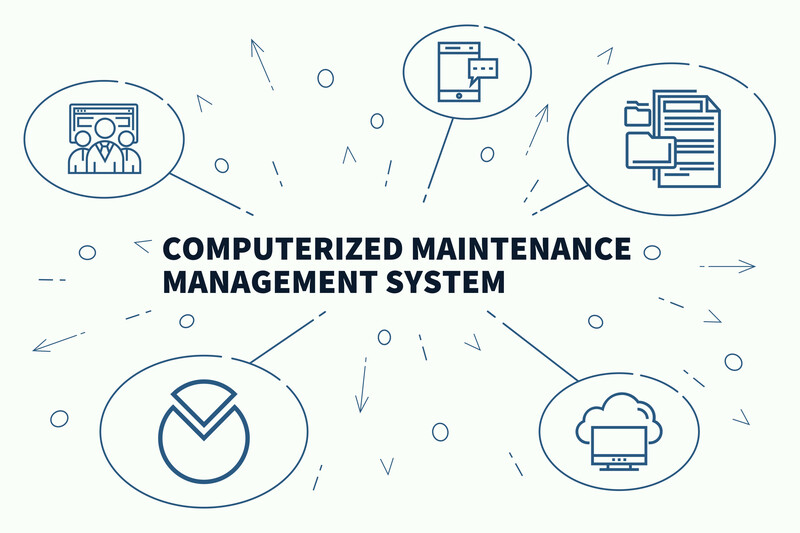 What Is a Computerised Maintenance Management System? CMMS’s are an online system that allows users to have better control over all their facility maintenance management. Essentially, they offer a suite of facility management tools, from job tracking to planned maintenance scheduling, basically a one-stop shop for all your facility needs. This allows you an overall view of your entire business, regardless of the number or locations of the facilities, ensuring minimal downtime, increased productivity and fewer unexpected costs. MSL’s inSYNC is one such CMMS, and one which we are incredibly proud of. The system includes; a site portal, which allows users to log jobs and quote requests online; a customer management portal, which shows users how they are spending their maintenance budget; and a customer wallboard, which displays a live view of real time works. CMMS use just one simple reporting system which can be accessed via their management system, meaning that regardless of which facility has an issue, a breakdown or problem can be reported quickly and easily using the online system. This decreases any waiting time you may encounter whilst you struggle to get through to the relevant person to report and discuss the issue with. This, in turn, means that any problems can then be dealt with quickly, leaving less time for it to develop into an even bigger issue. A CMMS allows you to have a better overall view of when your various inspections and/or certificates are due to be updated. This can help you to not only create a comprehensive maintenance plan, but to ensure you are compliant and thus avoid any hefty fines. Employing a system that gives you a greater understanding of the maintenance needs of your business means that you can create a thorough planned maintenance schedule. Planning your maintenance will mean sudden repairs are reduced, so downtime whilst the repairs are being undertaken is also minimized. This also helps to reduce the costs that occur when you have those unexpected, expensive breakdowns. Paperwork can be a frustration. Not only is it costly and harmful to the environment, but keeping on top of mountains of paperwork can cause things to get lost, such as job order forms, invoices and maintenance reports. This can lead to delays in getting jobs completed as staff try to find or recreate various pieces of important paperwork that are needed to complete a specific job. A computerised system means that everything is stored online, and can be found easily. Introducing a Computerised Maintenance Management System into your business really seems like a no brainer. It is good for productivity, costs and the overall smooth running of your facilities. CMMS’s, like MSL’s inSYNC portal, are there to make your life easier. They ensure that you have an overview of every single element of your business’s maintenance management, allowing you total transparency over your entire company, with the ability to track any issues and their subsequent repairs, from start to finish.